Take a virtual trip over some of the beautiful areas that lie outside of Kyoto Japan. Using a DJI Phantom 3 Professional rig, Awa Drone did some great piloting combined with fantastic video production technique to give the virtual tourist a lovely aerial trip over some of the main attractions around the outskirts of Kyoto. Fushimi Castle, also known as Momoyama Castle, is located in Kyoto’s Fushimi Ward. A replica of the original for which construction began in 1592 by Toyotomi Hideyoshi and intended as his retirement palace. Flyover of the river and fields and traditional grass thatched roof houses. The village was merged with other nearby towns to create the city of Nantan. Drone piloted along this river and valley which is located on the western outskirts of Kyoto. Arashiyama is a nationally-designated Historic Site and Place of Scenic Beauty. 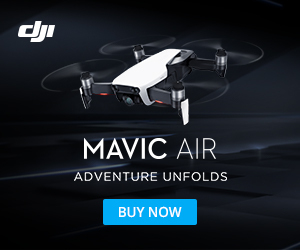 – can be set to fly only within a given distance and altitude from you, protecting the drone and making it automatically stay within desired limits.